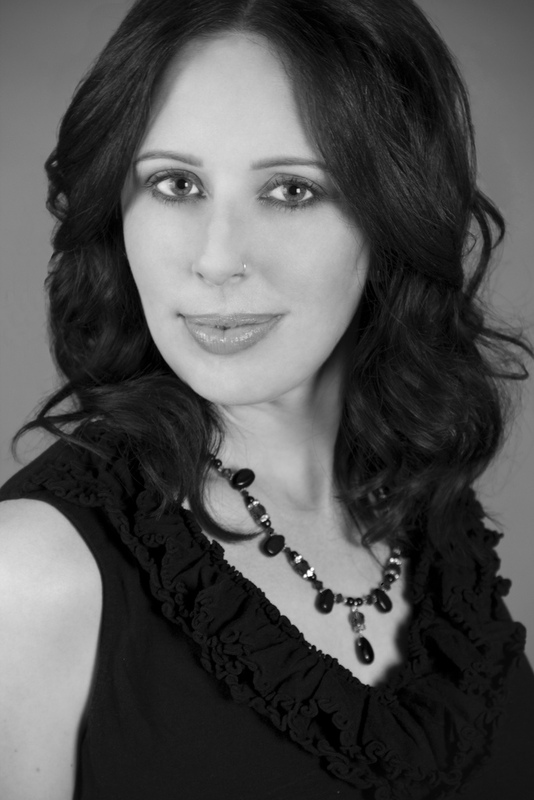 Cherie Priest may be best known as the Queen of steampunk with her award-winning Clockwork Century collection, including titles such as Boneshaker and Dreadnought, but this lady is a master of other genres too. Her first series of books that were published only in the USA, back in 2003 was the Eden Moore trilogy. These haunting southern gothic ghost stories are being re-covered and republished by Titan Books so at last, her UK fans can enjoy them too. First up in this trilogy is Four and Twenty Blackbirds. We are introduced to the main character Eden as a young child struggling to fit in for a very unique reason. Eden see’s ghosts, she’s always seen ghosts, three sisters that always seem to want to get something across to her but she just doesn’t know what. Then at ten years old, everything changes. What appears to be a madman approaches her as she plays in a park, the ghosts warn her to flee, the stranger pulls a gun, aims and fires. Eden manages to outrun her predator but when he is caught and it comes to light that the stranger is actually related to her, the tale really begins. Eden never knew much about her mother apart from the fact that she died during childbirth and she was taken good care of by her aunt Lulu. But as she investigates the reasons behind her attack, she realises that even her beloved Lulu is keeping secrets from her. So who is her father, are the three ghosts friends or foe, who can she really trust and why will her attacker stop at nothing to see her dead? 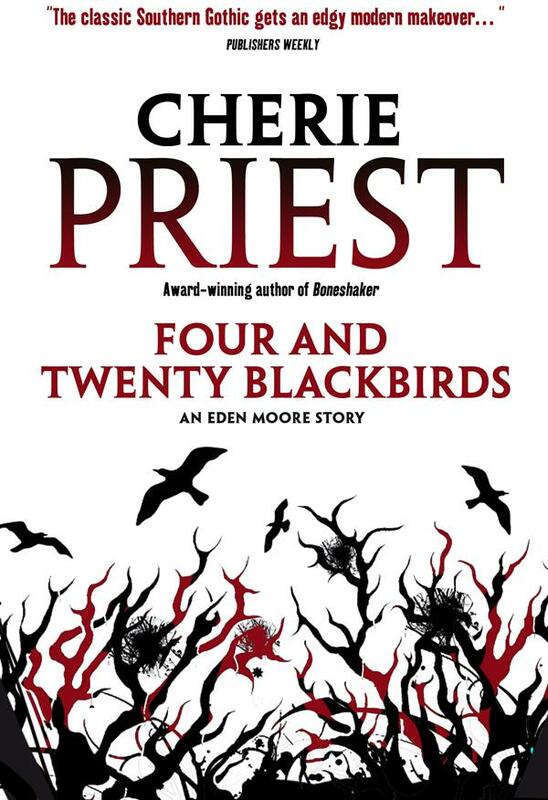 Cherie Priest really does have a knack for writing brilliantly strong female lead characters and here she makes no exception. Eden is a tough, stubborn young lady on a desperate hunt to uncover her family history and turns from scared little girl to full-on action hero in these 300-ish pages. There are a ton of twists and turns in this book to keep you utterly gripped and characters that will have you wondering about their intentions right until the end. There were a few pages where I found the ins and outs of who was related to who a little bit overwhelming but it doesn’t last for long and it had me caught up again in no time. I cannot wait to see where Eden’s story goes next when the other pair of books from the trilogy are released later this year. Not only was I lucky enough to review this excellent book but I was also given the opportunity to pose a few quick questions to the author herself. Four and Twenty Blackbirds was your debut novel, first published back in 2003, what has brought about its republication? Cherie Priest: Many people seemed to think that 2009’s Boneshaker was my first novel – and it has certainly been my most successful to date, but it was actually book #7. So there’s been a lot of renewed interest in my earlier projects, most notably the Eden books. And of course, I’m thrilled that they’re finally heading overseas. Are there any particular authors or novels that inspired you to become a writer? I’ve always been a big mystery reader – cutting my teeth on the Nancy Drew books and then moving on to Poe and Doyle, and then Hammett and Agatha Christie. Your books often have incredibly strong female characters, where does the inspiration for these characters come from? I get asked this question a lot, and I’m never quite sure how to answer it – except to say that I know a lot of strong women, and it’s only natural that they’d find their way into my fiction. Four and Twenty Blackbirds is a southern gothic style horror but you are well known for writing in other genres such as steampunk. Do you have a favourite style? Not really. I enjoy genre-hopping and would prefer to not be pigeon-holed. I don’t know if that’s possible or not, but I suppose we’ll see. The book also includes lots of creepings and scares but what scares you? How do you feel about the current Hollywood trend of romanticising horror characters such as vampires and werewolves? I don’t really have an opinion on it; there’s plenty of room in fiction for monsters of the romantic and non-romantic variety. Each to his/her own, that’s what I say. Do you have any other novels or projects in the pipeline? Two more steampunk novels over the next couple of years – Inexplicables and Fiddlehead, respectively. I’m also working on a shorter contribution to the Wild Cards universe, and a few other stories here and there. 2012 is looking to be a busy year, so I’m trying to play it by ear as far as I can.